WHILE it is patently clear that HUSSEIN Obama is Islam’s best American friend (at least its most powerful, and the list of his like-minded surrogates – inside and outside the Beltway – is too lengthy to cite), the whys and wherefores are widely unknown. Since he first appeared on the national political scene in 2007, Barack Hussein Obama has done everything in his power to protect Islam from any and all criticism. While he claims to be a practicing Christian, he has continuously and deliberately misrepresented the truth about the violent, supremacist nature of Islam. Obama has consistently denied that the obligation of true Muslim believers, as they are taught in the Qur’an and Hadiths, is to convert, subjugate, or kill all non-Muslims until Allah’s religion (Islam) is the only religion for all of mankind. Sadly, convincing most Americans to open their eyes to the truth about Islam is not an easy task. Using a combination of deceit, political pressure, and the threat of condemning critics of Islam as racists or Islamophobes, Obama has managed to successfully control the conversation about Muslims and Islam. How then will loyal Americans who cherish freedom and respect the Constitution confront the “most powerful man in the free world” to expose the lies and reveal the tyrannical aspirations of authentic Islam?….continue your journey here…. AFTERWARDS, a primary backgrounder into his Wahabbi roots (which, btw, does not obviate his Marxist ones, rather, it acts as a complement) becomes that much more resonant and noteworthy. Toxic. WITH the above in mind, it becomes clearer as to why he ordered “Presidential Study Directive 11”, a little known push towards “regime change” in the Mid East F/B/O ensconcing Brotherhood Mafia leaders into top political posts!! Behind the rise of ISIS, the Libyan Civil War, the unrest in Egypt, Yemen and across the region may be a single classified document. That document is Presidential Study Directive 11. You can download Presidential Study Directive 10 on “Preventing Mass Atrocities” from the White House website, but as of yet no one has been able to properly pry number 11 out of Obama Inc.
Presidential Study Directive 10, in which Obama asked for non-military options for stopping genocide, proved to be a miserable failure. The Atrocities Prevention Board’s only use was as a fig leaf for a policy that had caused the atrocities. And the cause of those atrocities is buried inside Directive 11. With Obama’s typical use of technicalities to avoid transparency, Directive 11 was used to guide policy in the Middle East without being officially submitted. It is possible that it will never be submitted. And yet the Directive 11 group was described as “just finishing its work” when the Arab Spring began. That is certainly one way of looking at it. Directive 11 brought together activists and operatives at multiple agencies to come up with a “tailored” approach for regime change in each country. The goal was to “manage” the political transitions. It tossed aside American national security interests by insisting that Islamist regimes would be equally committed to fighting terrorism and cooperating with Israel. Its greatest gymnastic feat may have been arguing that the best way to achieve political stability in the region was through regime change. What little we know about the resulting classified 18-page report is that it used euphemisms to call for aiding Islamist takeovers in parts of the Middle East. Four countries were targeted. Of those four, we only know for certain that Egypt and Yemen were on the list. But we do know for certain the outcome. Egypt fell to the Muslim Brotherhood, which collaborated with Al Qaeda, Hamas and Iran, before being undone by a counterrevolution. Yemen is currently controlled by Iran’s Houthi terrorists and Al Qaeda. The coup against Mubarak with its coordination of liberals, Islamists and the military did strongly resemble what happened in Indonesia. The most ominous similarity may be that the Muslim mobs in Indonesia targeted the Chinese, many of whom are Christians, while the Muslim mobs in Egypt targeted Coptic Christians….continue reading the horrific truths…. ALL of which wends us straight back to the Islamist-in-Chief’s ultimate crime against America, that which could not have been facilitated without his purposeful upending and wildfires in the already fiery Mid East, and parts of Africa alike. It is into this cauldron of hell-fire – which hasn’t abated in over 5 years – that Allah’s Muslim Terrorists – ala the Islamic mandate of hijrah…migration for the cause of Allah – are slithering through the front door and back door as “refugees” into the heretofore greatest democracy in the world!! HUSSEIN Obama, the devil incarnate. 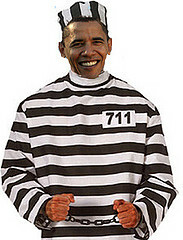 PATRIOTS, is there any punishment too harsh to “repay” him for his crimes against the American people – as well as others – who have suffered due to infinite blow back via concomitant knock-on effects? Not on this end…. WE are not done yet. Incontestably, the aforementioned back door must be highlighted for what it is. Not only that, what you think you know about what is happening in front of your (already horrified) eyes is barely the tip. Refugee contractor Hebrew Immigrant Aid Society re-brands, drops the “Hebrew” ….…and moves its headquarters closer to Washington so as to be closer to the federal money it depends on for survival. It will also boost its advocacy role with Congress and federal agencies. They will go by the name HIAS, Inc instead of the Hebrew Immigrant Aid Society which is probably better anyway since they have so many Muslims to resettle (who probably got skittish when they heard the word “Hebrew”). According to Mark Hetfield: The word “Hebrew” is so outdated, like using the word “colored” to refer to African-Americans. Though they are officially “non-profit” organizations, Catholic Charities, Lutheran Social Services, and several other Christian organizations are profiting from lucrative contracts with the federal government to resettle refugees in the United States. Of the 100,000 refugees resettled in the United States in 2014 under the Refugee Resettlement program, an estimated 40 percent were Muslims. In FY 2015, the State Department, through the Bureau of Population, Refugees and Migration and the Office of Refugee Resettlement, spent more than $1 billion on these programs, which settled international refugees “vetted” by the United Nations High Commission on International Refugees in all 50 states and the District of Columbia. The federal government spent hundreds of millions of dollars more than that on refugees, however. The Department of Health and Human Services also provided a number of “entitlements” to these refugees. Much of this $1 billion in annual revenue goes to voluntary agencies (VOLAGs), several of which are Christian non-profits, such as Catholic Charities, Lutheran Immigration and Refugee Service, World Relief Corporation, Church World Service, and Domestic and Foreign Missionary Service of the Episcopal Church of the USA. (also referred to as Episcopal Migration Ministries), who are contracted on behalf of the government to help these refugees get settled in their new homes in America.such as Hebrew Immigration Aid Society, and Domestic and Foreign Missionary Service of the Episcopal Church of the USA. (also referred to as Episcopal Migration Ministries), who are contracted on behalf of the government to help these refugees get settled in their new homes in America. LO and behold, as promised, let’s segue to the “back door”! About 100 Syrian refugees are being placed in a small city in Vermont, the home of socialist Sen. Bernie Sanders, and they are not getting an altogether warm welcome. In fact, when residents of Rutland, Vermont, found out about the secretly negotiated deal to seed their community with migrants from a Middle Eastern hotbed of Sunni radicalism, they were livid. They packed a local library for an “informational” meeting Thursday night. At least 20 of them stood outside with protest signs, demanding that their mayor explain why he negotiated the entire deal with the federal resettlement contractors behind closed doors and outside the purview of public scrutiny. Mayor Chris Louras simply “announced” on April 26 that 100 Syrians were being “welcomed” into the city after it was a done deal. Even the Boston Globe acknowledged the Rutland refugee placement was “developed in near-secrecy” by the mayor and the government contractor. The U.S. government is desperately looking for new locales to send the Syrians as it ramps up its “surge” of more than 350 Syrian arrivals per week in an effort to meet President Obama’s goal of 10,000 Syrians resettled by Oct. 1. And in each new town that gets told, not asked, that Syrians are coming, the response has been divisive, with some locals saying they welcome the foreign “diversity” and others saying they have questions and fears. Another 75 refugees are headed to small communities in northern Nevada, it was reported by KUNR, an NPR affiliated radio station. Northern Nevada International Center, which operates on the campus of the University of Nevada at Reno, has been given the green light to start a refugee resettlement program. Carina Black, the group’s director, told KUNR the group’s application to become an official resettlement contractor was approved in February, meaning the plan has been in the works since at least late last year. But the local residents are only now finding out about it. Black said her organization will resettle up to 75 refugees over the fiscal year that begins Oct. 1. Black did not return calls to her office Friday by WND seeking more information. What the NPR affiliate failed to report is that once a resettlement contractor opens an office in a community, it never closes. If the pattern of other communities holds true, they start with 75 refugees the first year, followed by at least that many next year, and the next, and the next. Rutland is a city of a little over 16,000 people in a liberal state that has never received refugees before, let alone from Syria. It doesn’t have a single mosque. That’s all about to change. Fully 98 percent of the 4,019 Syrian refugees resettled in the U.S. since January 2012 have been Sunni Muslim. And many of the residents aren’t happy….continue reading the entire deceptive disaster here…. BESIDES, what kind of leadership behaves this way, other than fascist ones akin to third world dictatorships? Exactly. 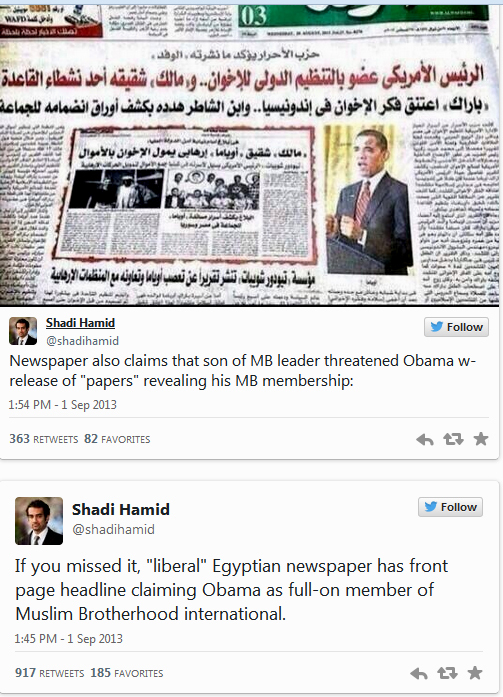 MOST significantly, this investigative journalist – via intel gleaned from reliable Mid East contacts, who have yet to steer wrong – states for the record: unequivocally, HUSSEIN Obama is not only an Islamist sympathizer and ideologue, but he is a “made man” within the ACTUAL Muslim Brotherhood Mafia! THUS, when certain Egyptians write about these matters, trust, they are spot on. Why? Well, not because they say so, that’s for sure. Rather, because said claim has been independently verified by this site, that’s why! HUSSEIN Obama, what say you?? This entry was posted in Uncategorized and tagged "back door", "Presidential Study Directive 11", "refugees" ala the "front door", HUSSEIN Obama is Islam's best American friend, Islam Exposed, Wahabbi roots, wildfires in the fiery Mid East by Adina Kutnicki. Bookmark the permalink.